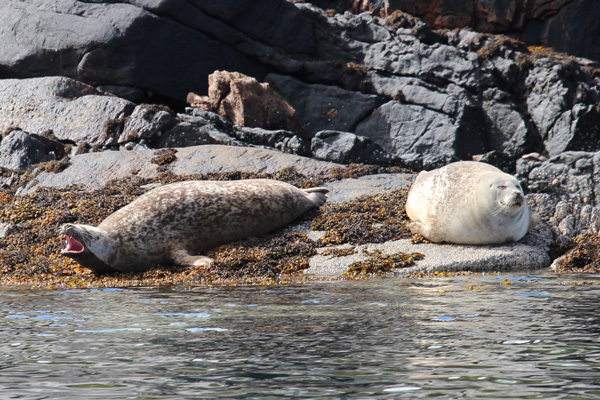 This is a pleasant cruise to Tobermory, incorporating a two-hour wildlife cruise along Loch Sunart in the Ardnamurchan aboard the MV Laurenca. MV Laurenca is a 38ft Aquastar craft with ample space for 12 passengers. There are two wooden benches, as well as basic seating down the side and back of the boat and a small toilet. 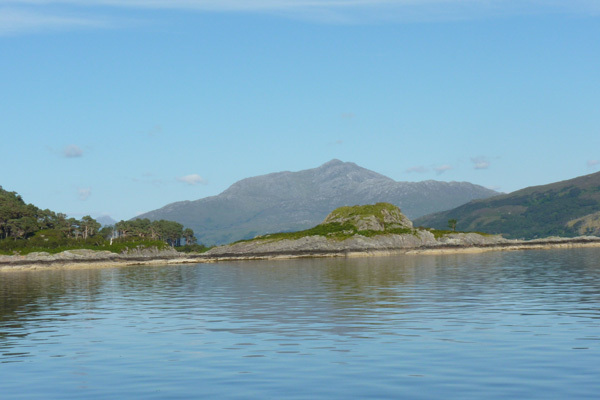 The cruise currently starts from Laga Bay inbetween salen and Glenborrodale on The Ardnamurchan Peninsula. Please note that this account was written when the cruise started from Salen - the details remain largely unchanged though. The trip starts with a safety talk and a brief introduction to the trip. As the boat heads down Loch Sunart, there are lovely views of the hills towering above the Loch on both the north and southern shores. Land cover of the hills varies from mixed oak woodland and coniferous plantation merging into heath and grassland with altitude. However, the majority of hills are devoid of any tree cover. Good views are initially afforded of the fine fringe of Atlantic oak woodland on the southern shore that is part of a former National Nature Reserve of Glencripesdale. Look out also for the ancient fort, Dun Ghallain (the Fort of the Storms) on a rocky islet on the north shore, just west of the coniferous plantation by Port nan Gall. 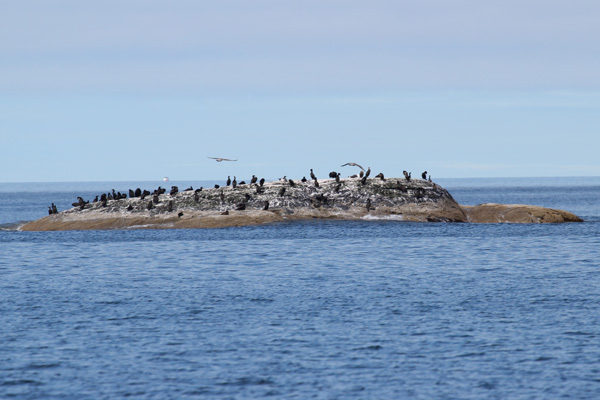 There are also many scattered settlements, sheltered bays and inlets on route. Look out for golden eagle and white tail eagle, as well as other raptors and corvids in the hills as you cruise up Loch Sunart. 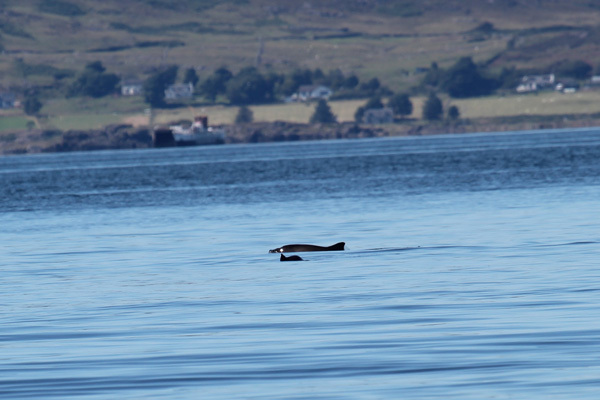 The two islands provide good places to seek out otters, common seal and harbour porpoise. Look out for red deer on the hills, and herons and oystercatchers on the shores. 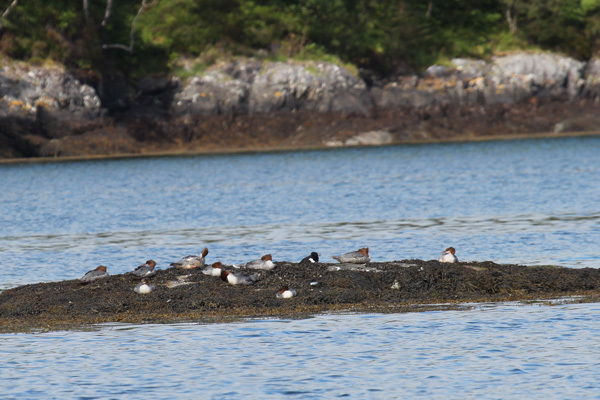 Time is spent around Carna and the small islet of Eilean Nan Gabhar for some wildlife spotting. As the boat continues, good views are afforded of Glenborrodale Castle, an asymmetric baronial style mansion built between 1898 and 1902 by Sydney Mitchell. 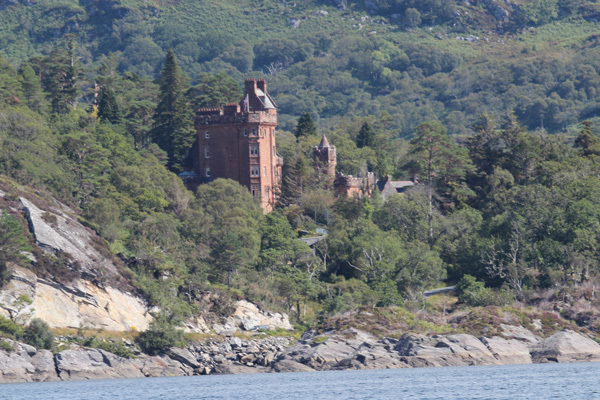 The castle replaced an earlier guesthouse built for Charles Rudd, a business associate to Cecil Rhodes, when he retired to Ardnamurchan in early 1900s. The castle consists of a 5 storey tower, a chateau’ styled residence with a balustrade terrace, and a castellated two storey turret house. The 16 bedroom castle now serves as a hospitality venue and retreat. The Bay of Camus nan Geall and the imposing form of Ben Hiant (the flank of a Palaeocene volcano) soon come into view. Ben Hiant epitomises the complex geology of the Ardnamurchan region being a conglomeration of quartz-dolerite, breccias, pitchstone, basalt lavas, cone sheets and Moine schist. These rock formations bear evidence of later sculpturing by ice. 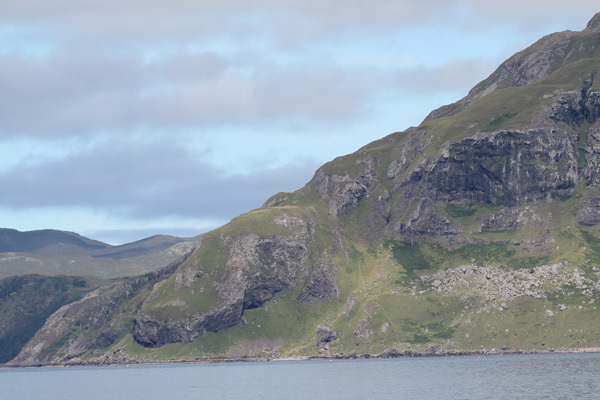 The austere rugged profile of Ben Hiant dominates the northern shore of Loch Sunart with its bare rock exposures, montane grassland and the jutting outcrop of Maclean’s Nose. Ben Hiant has been designated as an SSSI for its geological features and vegetation. 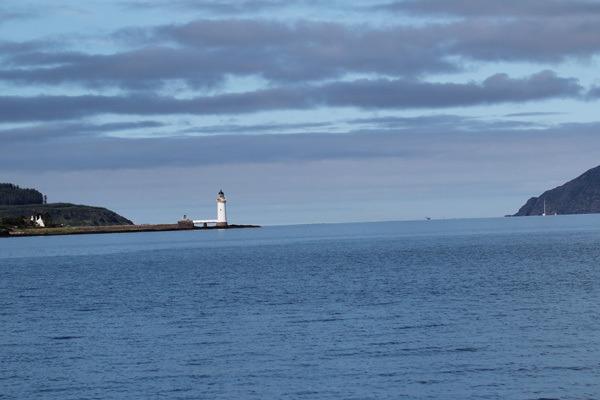 The boat finally skirts round Auliston Point and crosses the Sound of Mull to the harbour at Tobermory. 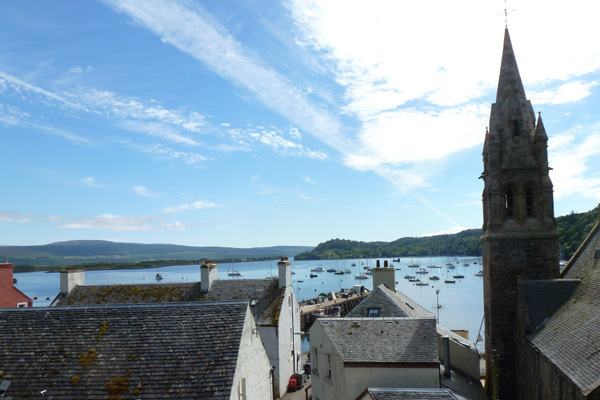 The boat arrives at Tobermory at about 12.00 - 12.30 pm. 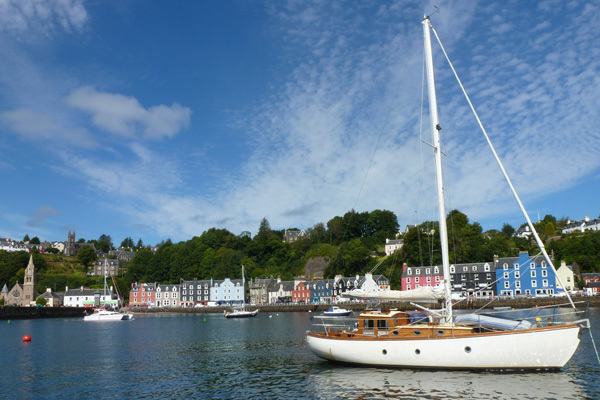 The time ashore at Tobermory is negotiable with the skipper, but is usually between two and three hours. This provides plenty of time to take a leisurely lunch at the Café Fish or another eating establishment. 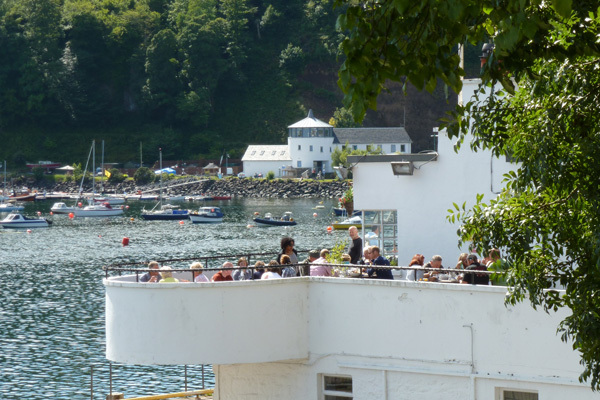 You should also have plenty of time to explore the shops and museum on the High Street, Harbour Visitor Centre and possibly the Art Centre (An Tobar) in Argyll Terrace. 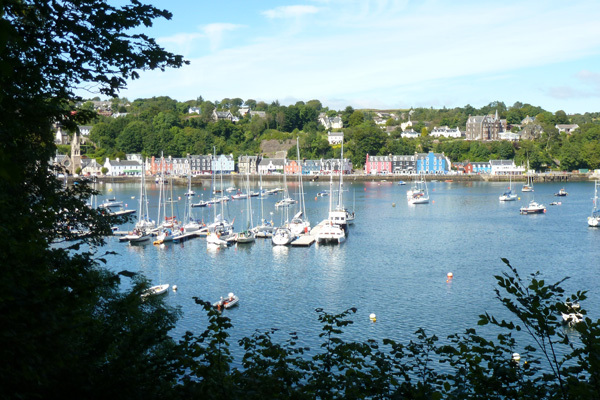 Please refer to the Tobermory Attraction page for further information on the multitude of attractions on Mull. 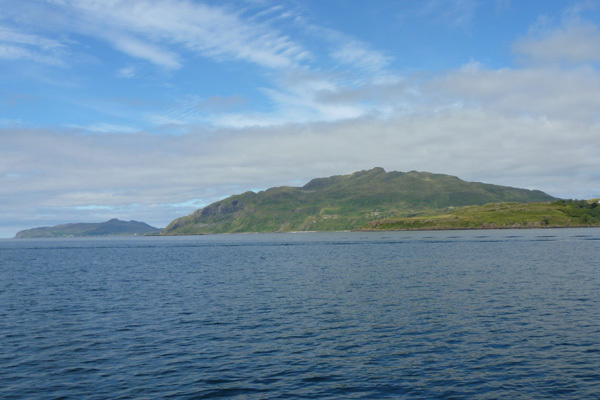 The boat returns by the same route but skirts around the northern edge of Carna arriving back at Laga Bay. 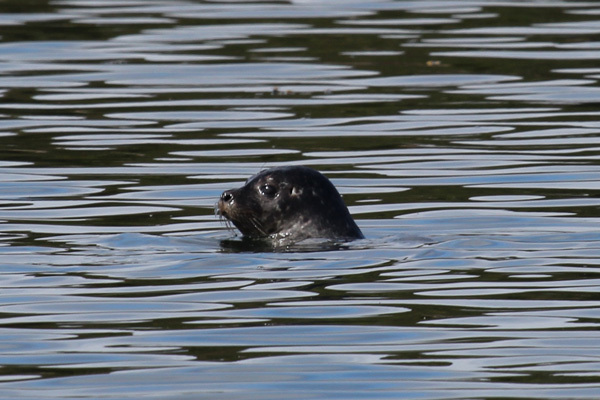 The skipper is happy to make a short diversion for any cetacean or basking shark sightings on route. 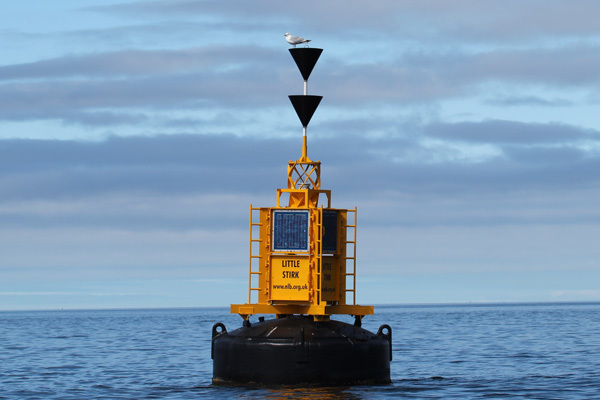 This is a very pleasant journey on a fine day with calm seas. 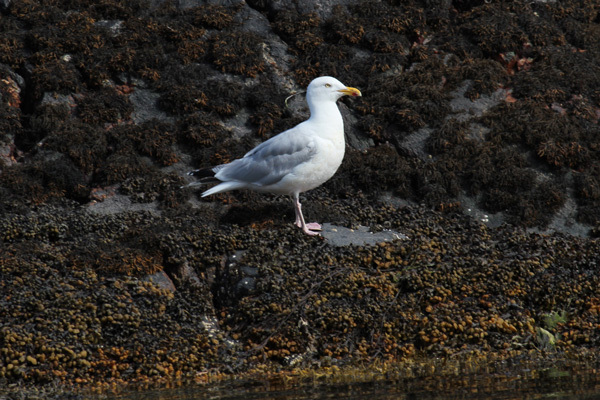 The skipper provides ample opportunity to observe and photograph any wildlife seen on route and is very friendly and knowledge about the area and its wildlife. 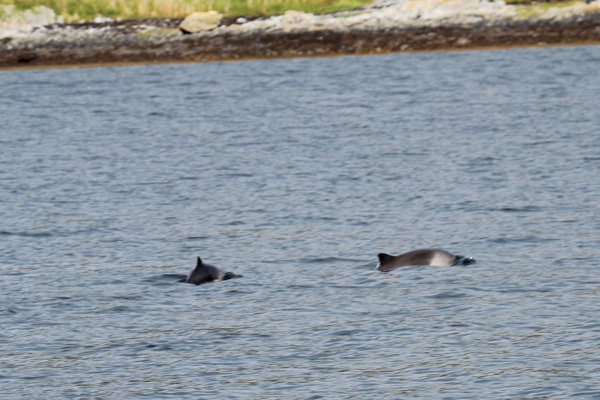 A great day out if visiting Moidart and the Ardnamurchan.